mentta started with the desire of: “A tomato which tastes like a tomato”. Luismi, the startup CEO claims that nowadays, when you go to the Supermarket, being able to find a tomato with the real flavor of a tomato is not something easy. The tomato will probably look shiny, round and perfect in all its senses, however, there is a problem with the taste. This, together with the fact that some years ago Luismi moved to the outskirts of Madrid, where there were no grocery shops close to his home, triggered the creation of mentta. 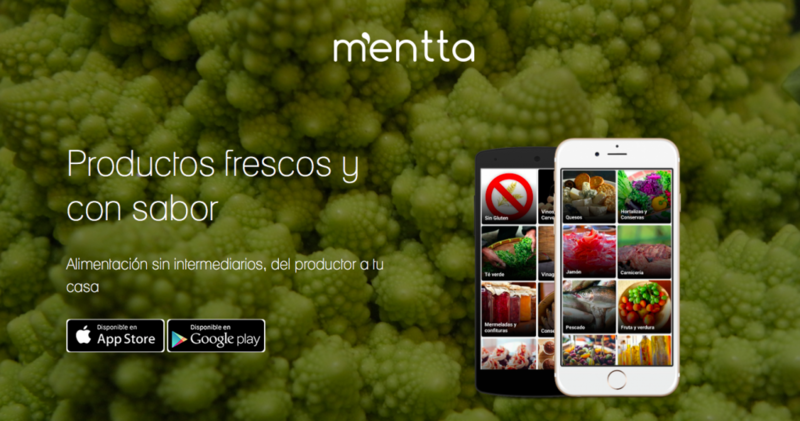 mentta is an app that allows customers to buy fresh and tasty products: directly from the producer to your home without any intermediaries. The founders wanted to allow “urban” consumers to buy for instance fish and vegetables coming directly from Galician Markets. 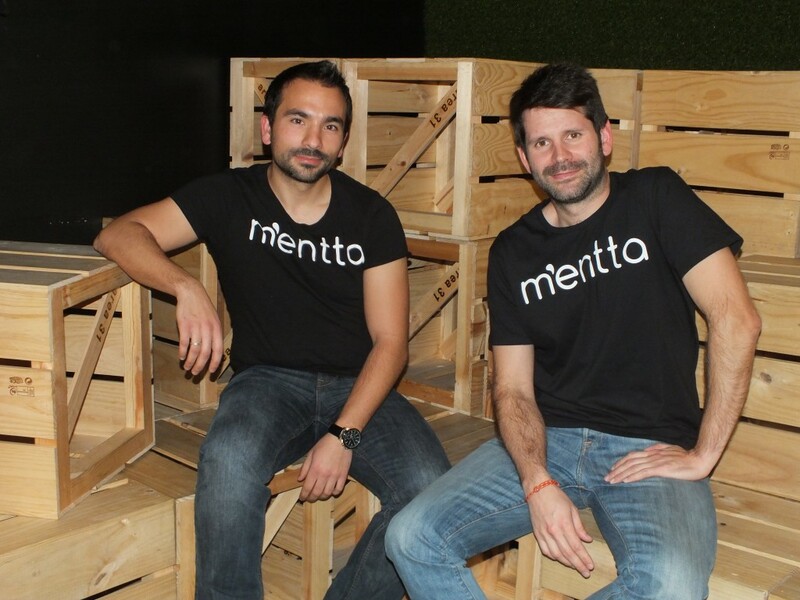 mentta’s founders, Oscar de los Santos (CTO) and Luis Miguel (CEO), met many years ago, when they were working in an insurance company together. After Luismi left the company, and devoted his time to mobile programming, mentta’s idea started to take shape. Three months after Luismi proposed the idea to Oscar, they had the first version up and running. mentta already has different type of suppliers: from merchants that provide shellfish directly from Galician Markets, to specialized shops such as Vinopremier that sells all kind of wine, providing more than a thousand references. For the time being, it seems impossible for them to approach all wineries in Spain, as there are around 40 designations of origin in Spain. For that reason, it is interesting for them to have a one stop shop for wine. Additionally, mentta offers: ecological products from Enterbio, who has also around 1.200 product references; different types of teas from ComoTéencuentras?, which delivers its products in less than a day within the Madrid Community. mentta enables the customer to subscribe to the delivery of fruits and vegetables (which come from León) every week or every two weeks, according to the customer preferences. mentta counts with around 20 merchants already, and they hope to increase the number of merchants in the coming weeks. The majority of merchants have been approached through networking; nevertheless some of them have been reached through other channels. For instance, the fish merchant was included thanks to Luismi’s mother in law, as she was a regular customer. The major challenge that mentta is facing at the moment is properly filling the Marketing hole in their startup. They have been trying different strategies by doing various tests, however they are still missing that side of the business to be working. At the moment, they are looking for a summer intern that will be able to cover that position. It has been great to get to know other business areas, especially for us, given that we are more in the tech side of business. In order to get it right, you need to know a lot, even doing email marketing, which seems like a simple thing to do, it is more challenging that how it really is. The thing is that when you are an entrepreneur, you are all the time between three scenarios, and the pessimist ends up being the optimistic and not even realistic. What people generally say is that you always expect things to be better than how they will really be. WHAT HAVE BEEN YOUR BIGGEST MISTAKES? Our biggest mistake was thinking that we were going to grow much faster than how we have actually grown. We thought that we were heading in a good and speedy direction; nevertheless things end up slowing down much more than expected. There are lots of things to do every day, and there are obviously those “down” days, but it is always cool to be building something on your own. Our most prominent failure was printing flyers for mail boxing. We distributed around 2.000 flyers, which hardly resulted into new customers; it resulted in five new registries and one sale. I also thought that we had to “go big” and in some areas we spent around 650€ in distributing flyers between Pozuelo and Las Rozas. We had two registries: a 325€ lead. HOW WAS THE PROCESS OF LAUNCHING? Our process has been from MVP to MVP, and we are not bad at doing that, I believe that making small tests is the best way to go. If there are more things that need to be included, we do it. We did not wait to have a perfect product in order to launch. We started by having mini-fails and then fixing them little by little. There were things that we had never thought about doing, but customers start providing some feedback and suggesting new ideas. We call all of our customers, and there are things that they suggest that you listen to, and others that not, it depends. We have also received some emails from customers, and after 5 min thing are solved. WHAT DOES AREA 31 MEAN IN ALL OF THIS? Area 31 for us is an advisory support. What is especially beneficial for us is the co-working space that the Incubator provides. Nonetheless, the greatest side of Area 31 is the promotional element. When we say that we are part of Area 31, it provides us with some kind of prestige, and you get to be more easily listened to. Besides, IE is one of the best business schools in the world, which always adds up.